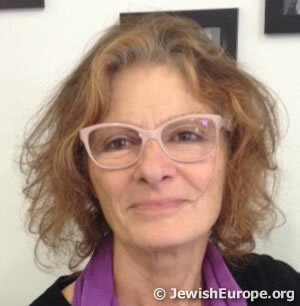 Dominique Tomasov Blinder, an architect, is dedicated exclusively to Jewish Heritage, a scholar involved in research, advocay, teaching, lecturing and consulting. She brings together a unique wealth of professional experience plus the involvement in local Jewish life. Her programs are not just a plain historical account of facts, but a combination of history, current affairs and opinions. During the Middle Ages Jewish life flourished in most of the towns and villages in Sepharad. With the edict of expulsion of 1492, Jews were faced with the choice of "leave or convert to Catholicism". Since a little over a century ago, there is a slow process of Jewish families returning to Spain. Once again, Jewish life blooms in many cities. There are efforts to recover their Jewish legacy in many cities, most of which do not have a Jewish presence today. This is why Barcelona presents a special interest, with a Jewish population of about 5,000, four active synagogues and a rich community cultural life. * Walk in the Jewish quarter, el "Call"
* Stop by the site of the ancient cemetery, though not visible today, the right place to learn about it and the efforts that Dominique's team were involved in to obtain its listing as a "historical landmark".